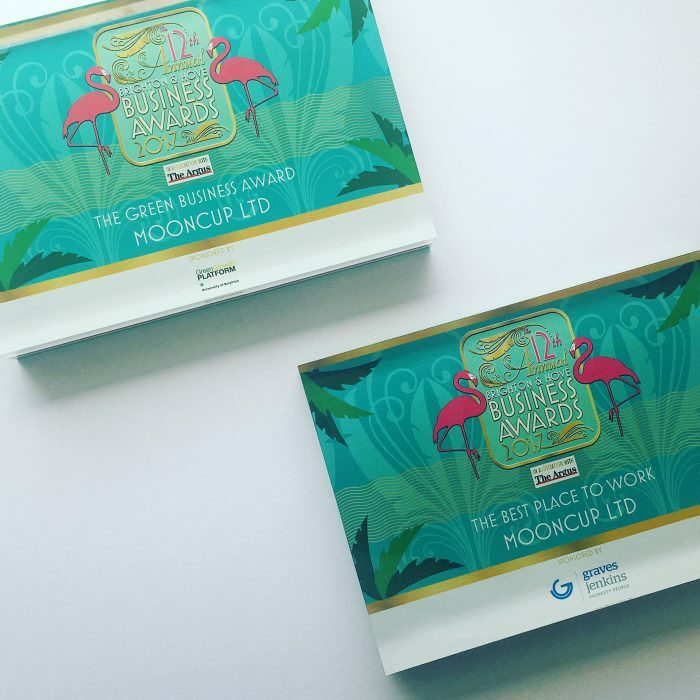 We are delighted to announce that Mooncup Ltd have won not just one, but two awards – ‘The Green Business Award’ and ‘The Best Place to Work’ – at the Brighton & Hove Business Awards 2017. The sell-out event is designed to raise awareness and celebrate the ‘diversity and uniqueness of Brighton & Hove’, Mooncup Ltd’s home since we were founded way back in 2002. 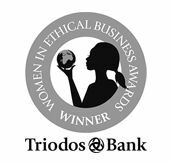 It has been a massive honour to be recognised among such amazing businesses in Brighton, a place which is known for its ethical and green start-ups, as well as for its overall attitude towards well-being in the workplace. So what was it that made us stand out from the stiff competition? How did Mooncup win ‘The Green Business Award’? In selecting ‘The Green Business Award’ winner, judges were looking for a “a business which is focused on supporting the green economy as well as helping the City, and in turn our Planet, to become more sustainable”. Thanks to Mooncup® users worldwide, the company have ensured that 1.7 billion fewer tampons and pads have ended up on our beaches or in landfill since 2002. 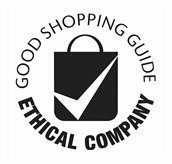 Manufactured in the UK to the highest quality standards, the Mooncup is also Vegan Society approved. 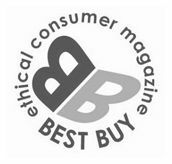 From manufacturing to printers, our key suppliers are selected for their environmental and ethical processes. All Mooncup leaflets and usage guides are made with 100% recycled paper, pulp or fibres, printed with vegetable inks…. The box is FSC Certified and made from ECF pulp… And the storage pouch is manufactured in an accredited Fairtrade factory from unbleached, organic cotton! And of course, using a Mooncup menstrual cup helps to save our planet! Just one of us will use 11,000 throwaway tampons and pads in a menstruating lifetime. One Mooncup lasts for years and years. What makes Mooncup ‘The Best Place to Work in Brighton & Hove’? 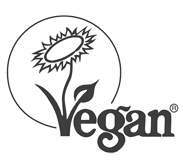 Daily communal vegan meals – keeping us all happy and healthy!